Before there were convicts there was whisky. But before there was Tasmanian Whisky Tours, there was a distinct lack of access to Tasmanian whisky distilleries. Enter Brett Steel, a man with a vision. He realised that Tasmania was entering a “golden age” of whisky creation and wanted to give the public a chance to travel to these distilleries, meet the people that make the whisky and hear their stories. 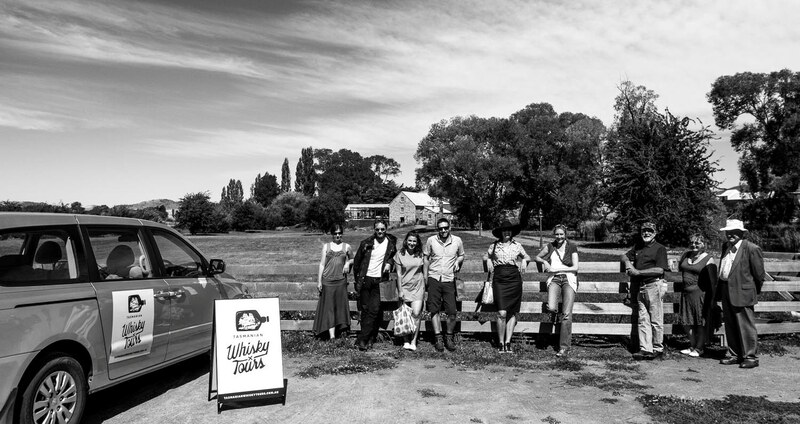 Thus Tasmanian Whisky Tours was born. I caught up with Brett to find out a bit more about the tours. Brett grew up, not among whisky makers, but instead with a strong wine background. This is hardly surprising, as he lived near the great wine region of McLaren Vale. 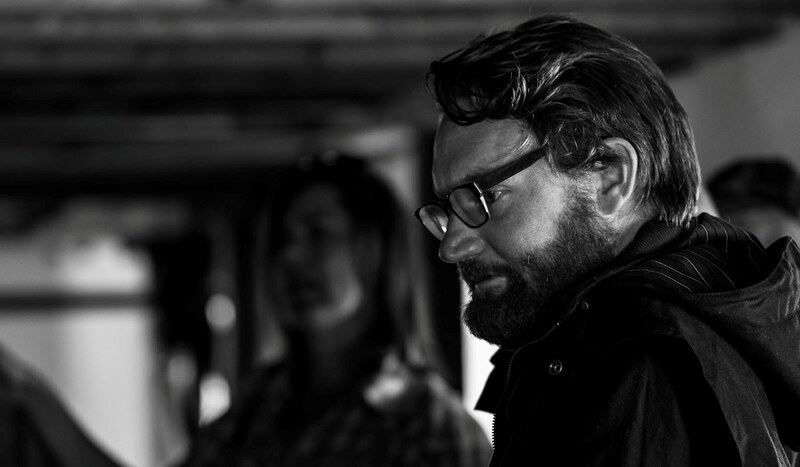 He moved from South Australia to Hobart in 2011 with intentions of starting up a bar selling Tasmanian whisky, assuming that once he was in the state there would be easy access to the distilleries making the product he intended to sell. However, he quickly found this was not the case. As more distilleries opened up, Tasmania rapidly became a join the dots puzzle. The state suddenly had a whisky trail! And Brett? Well he had a car! He realised that no one in their right mind wanted to drive themselves to distilleries and now there was a real touring opportunity. So Brett took the plunge and decided to become… a professional designated driver! There is, of course, more to it than that. Brett is a man after our own hearts. He is a waffler. As well as tasting the flavours of the drink, he was passionate about hearing the tales told by the people behind the whisky. Brett’s aim for the tours is not so much to give an educational and scientific description of how whisky is made. Instead he is more interested engaging with the people who make the product and hearing about the struggles and adventures they have had along the way. After all, the whisky-makers are just ordinary people doing something they love and they certainly have a tale or two to tell. Brett believes that whisky and story-telling are “perfect bed-fellows” and his guests, after meeting the story-tellers themselves, cannot help but agree. Brett’s first tours began running in early 2014 and the business has been growing in popularity ever since. The rise in profile of whiskies made in the state has given the business a boost, and Brett has found himself chaperoning journalists, whisky experts, and even cartoonists! 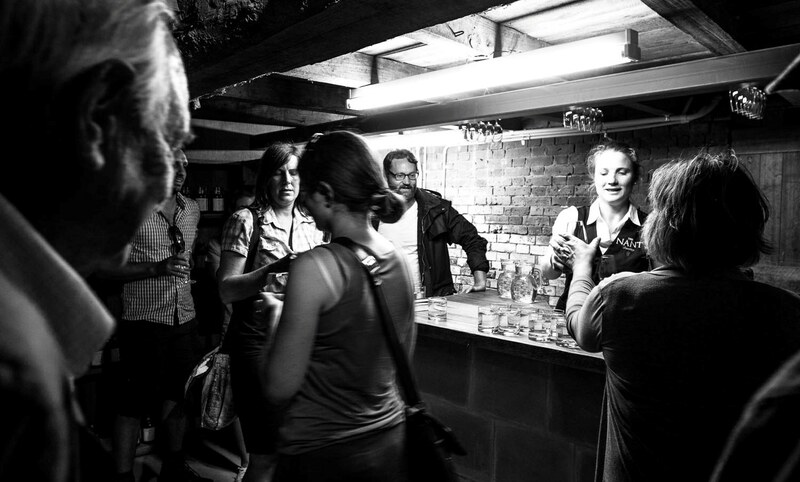 The tours run on Wednesdays, Fridays and Sundays and visit a wide range of southern distilleries – and also get to taste some from further afield. Sessions begin at 9am at the Lark cellar door, and proceedings commence by reclining in comfortable chairs and chatting about the history of Tasmanian whisky. Guests are then loaded into the van and driven around the beautiful Derwent Valley or Tasman Peninsula. 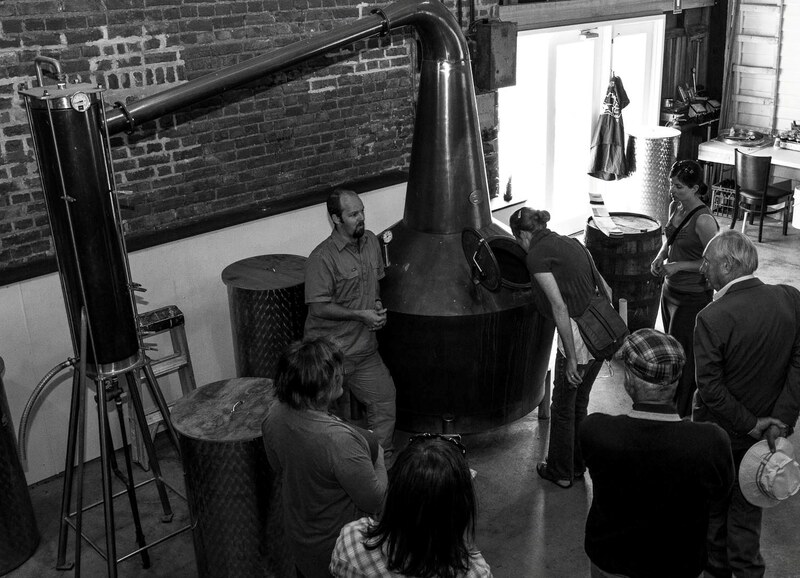 There are many highlights on each tour for Brett: the picturesque setting at McHenry’s Distillery in Port Arthur, the paddock to bottle experience at Redlands Estate, and the unforgettable yarns spun by “renaissance moonshiner” and “champion sand-sculptor” Pete Bignell at Belgrove. Of course, much like everyone has a favourite whisky (or gin, or brandy, or apple schnapps – which are also sampled on various tours) everyone has a favourite stop, and you won’t know which is yours until you travel there. I absolutely adore this quote and cannot agree more wholeheartedly. Brett believes, as we do, that whisky is a very social experience, and when presented with context, such as the people who create it and the processes they use, guests will get so much more out of every sip. He says that sharing the narrative of Tasmanian whisky, past, present and future, is half the experience of the tour. The characters that are met along the way and the real passion they exhibit, gives true meaning to the boutique hand-crafted product that we at Whisky Waffle love. Brett, like all of us, confesses to loving Tasmanian whiskies and their rich flavour. But he is also fascinated by the history and stories behind each of the distilleries. Find out more about Tasmanian Whisky Tours at their website. Photos by Andy Wilson at Everything Everything.